Check out the great memorandum put out by my friend Dave Revell, with Revell Coastal, explaining King Tides. I urge you all to get out early on Sunday and Monday (January 20 and 21, 2019) to experience the king tides at the coast near you. Remember, this is a good way to experience how a "typical" tide will flood surrounding areas with ~1.5 feet of sea level rise on a routine high tide, which is a reasonable estimate for sea level rise in the next 20 years. You can also be a part of the California Coastal Commission's active citizen science project and submit your own pictures of the king tide. Follow this link: https://www.coastal.ca.gov/kingtides/ to learn more about king tides and submit your pictures. To respond to many requests from respected colleagues and news outlets interested in helping to monitor potential sites that are likely to be exposed to flooding from an extremely high “King” tide. The highest high tides follow the full moon cycle and are predicted to occur on the mornings of January 20th and 21st, 2019. A “King tide” is also known as a perigean spring tide, when the moon in the winter reaches its nearest orbit to the earth and thus exerts its largest gravitational pull on the ocean water levels. A king tide with no storms identifies places that will be routinely vulnerable to sea level rise first. A king tide with high waves can cause extensive wave flooding and coastal erosion. A king tide with a rain event can also back up stormwater during rain events and cause increased ponded flooding. No large wave or rain events are predicted with this king tide series. On the US West Coast erosion and coastal hazards are caused by large storm wave events and total water levels not only high tides. Total water levels are the combination of wave run-up, and high tides, NOT storm surge (which can be 20 feet in a major hurricane on the East and Gulf Coasts versus 3 feet on the West Coast). A king tide provides a good example of what would be flooded by ~1.5 feet of sea level rise on a routine high tide and is about 1.5 to 2 feet above a normal high tide (Mean High Water is the average of all high tides over a 19 year period is the public-private boundary in CA). High tides though do play an important role in beach ecology affecting where certain species can safely nest, overwinter, and lay eggs. 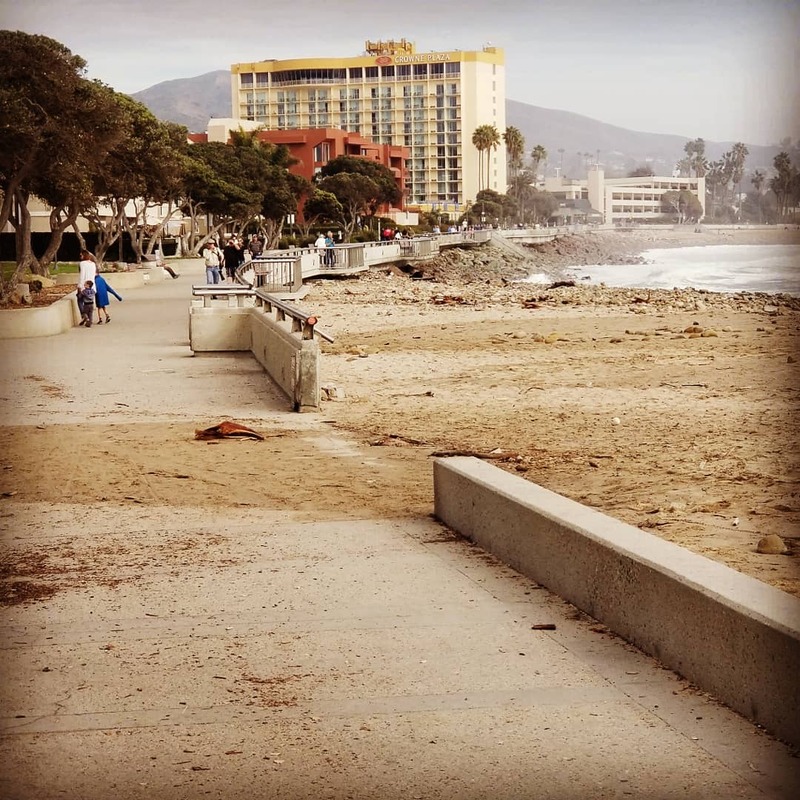 In locations where coastal armoring (seawalls and revetments) are prevalent, king high tides can flood beaches, inundate unprotected stormwater and wastewater systems which tend to be gravity fed and restrict access and coastal recreation. This high king tide series in December is forecast to have minimal wave energy during this tide series which makes this less exciting yet still important to document. The key locations to document impacts would be those that will be routinely impacted by sea level rise in the next 20 years. My prediction based on wave conditions is that there will not likely be large flooding or coastal erosion, but rather certain areas will be flooded and highlight areas that will pose future transportation bottlenecks, nuisance property flooding, illustrate future loss of beaches in areas of heavy coastal armoring and illustrate critical infrastructure that will likely be isolated from maintenance and emergency repair crews. Open mouthed lagoons are affected by tides and thus inland development fringing those lagoons (probably delayed by an hour or two from peak high tide). If a barrier beach is present then probably not worth the time. 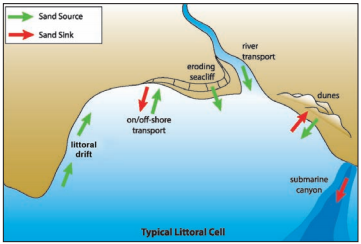 What is the littoral cut-off diameter?